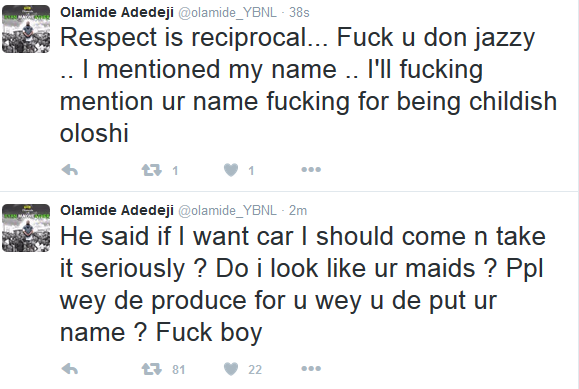 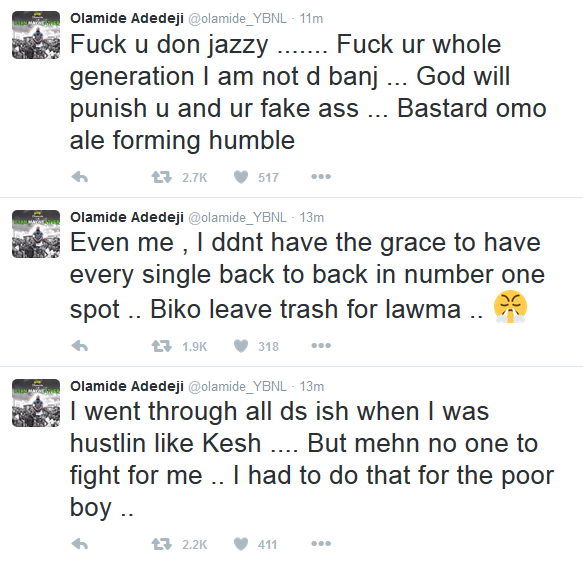 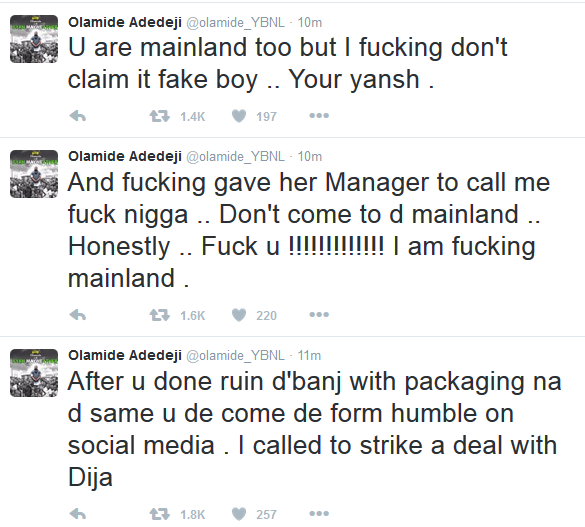 Twitter is on fire because Olamide thinks Lil Kesh was cheated and he also thinks Don Jazzy has been trembling on people in the entertainment industry. 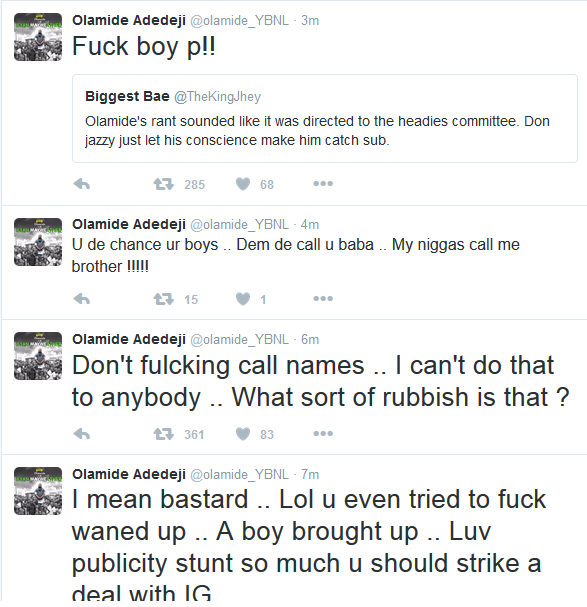 Donjazzy said he was hurt that Olamide felt cheated, He said he had told his boys not to be worried about the Nextrated category and also added that he promised to buy them cars. 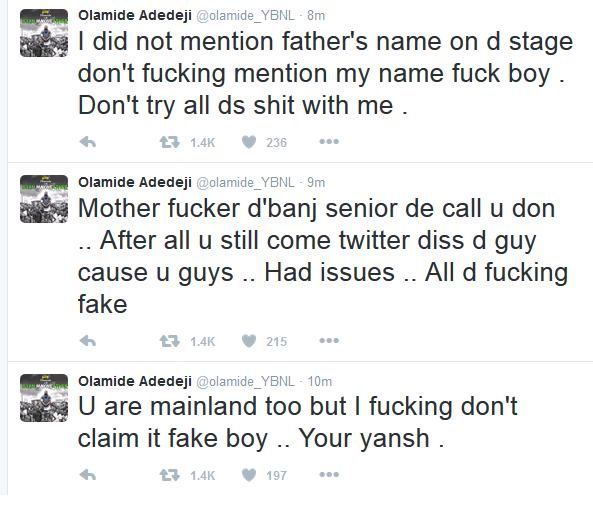 Don Jazzy ended his statement with the words "Egbon olamide, if it is car you want, come and collect it " He then stormed off the stage with the Mavin crew.